The Australian dollar rose, reaching a four-month high, trading at approximately US96.73, driven by the commodity prices. Australia’s biggest exporters have remained sturdy, showing signs of strong Chinese steel industry activity, according to Ray Attrill, the head of currency strategy at National Australia Bank. gains. Unless data turns this thesis on its head in coming weeks, November and December are shaping up as on-hold months," Mr Attrill said. Analysts are expecting the third quarter inflation data will be tough to predict whether the central bank will cut its inflation rate further. According to a survey compiled by the Wall Street Journal, approximately 14 economists are expecting the inflation to increase by 0.8% in the third quarter from the previous quarter and a rise of 1.8% in a year. "Inflationary pressures should remain muted and should reinforce to the RBA board that an easing bias remains appropriate," Sue Trinh commented, currency strategist at RBC Capital Markets in Hong Kong. HSBC Australia’s chief economist, Paul Bloxham said that the record-low interest rate are starting to boost parts of the economy such as the housing sector, business sector and consumer confidence. 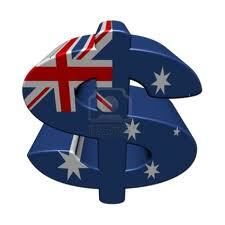 "Inflation is expected to be low enough that the RBA could consider cutting rates. But, at the same time, the cash rate is already low, monetary policy is gaining traction in the housing market, and confidence is lifting," Mr Bloxham said. "It is becoming increasingly clear that while the RBA remains concerned about the economic growth transition from mining investment to non-mining investment, the RBA is also somewhat concerned about record low interest rates lifting local Australian house prices to elevated levels," Commonwealth Bank of Australia (CBA) stated in a note to clients.